Knowledge of hex as a function of xA gives hA - hA from Eq (7.23) and Eq (7.22) then yields h B - hB. The utility of this approach is that (at least for the enthalpy), the excess property is amenable to experimental determination. Example: xA moles of pure liquid A and xB = 1- xA moles of pure B, both at temperature T, are mixed in a vessel maintained in a large water bath also held at temperature T. As a result of forming the solution, the temperature of the water bath is observed to increase by AT. How is this temperature rise related to the excess enthalpy of solution? A variant of this example is analyzed in problem 7.2. 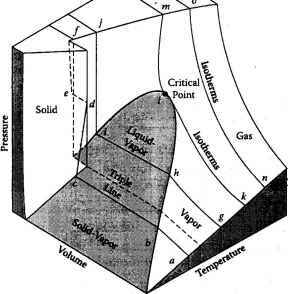 Like partial molar quantities, excess functions apply to solution properties other than enthalpy: volume, internal energy, entropy, Helmholz free energy, and Gibbs free energy. As discussed in the next section, the last of these is particularly important. How to find excess properties in thermodynamics?